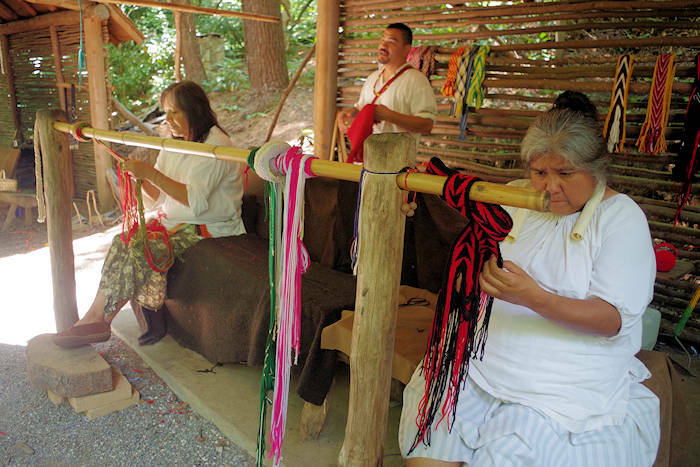 The Oconaluftee Indian Village is a living history museum that portrays a 1760s Cherokee village. 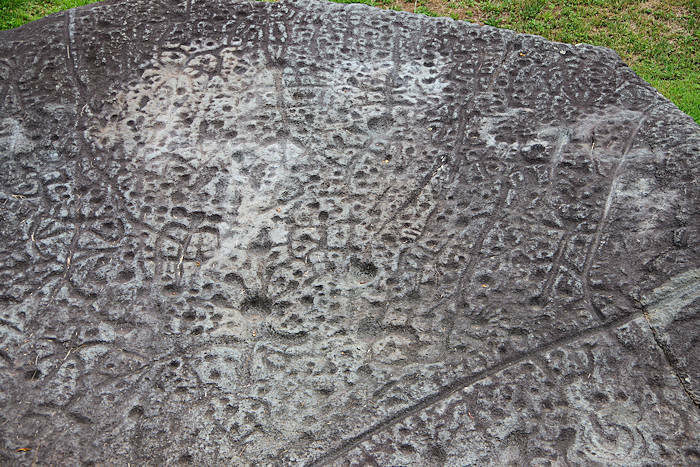 This is the place to learn about their culture and traditions. Take a guided tour and interact with villagers as they hull canoes, make pottery and masks, weave baskets and beadwork, and participate in their daily activities. Plus, learn some of their dances! 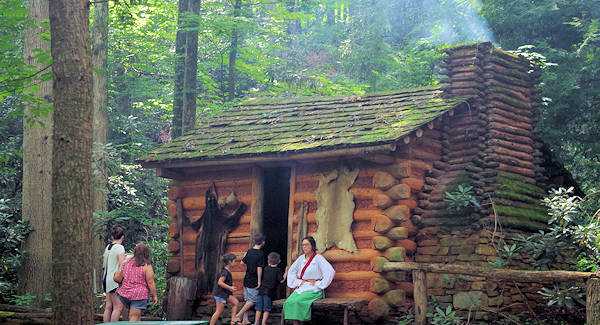 The outdoor walking tour meanders through authentic reconstructions of Cherokee buildings, including houses constructed of woven saplings plastered with mud, early log cabins and brush arbors. Go inside a council house and dance grounds, where guides lecture on Cherokee history, culture, language, government and dance. Don't miss the blowgun demonstration! You can also visit an original nineteenth-century cabin and Cherokee garden. It's a must-stop for an authentic Cherokee experience. It's located adjacent to Unto These Hills outdoor drama and near the Museum of the Cherokee. The Cherokee did not live in teepees! Friendly guides are delighted to answer your questions as you tour the buildings after your guided tour. Buy local crafts in their shop. Also, walk the nearby half-mile trail to the Botanical Gardens with a historic cabin. No ticket needed for that. July 4th Weekend: Attend the Cherokee Pow Wow. 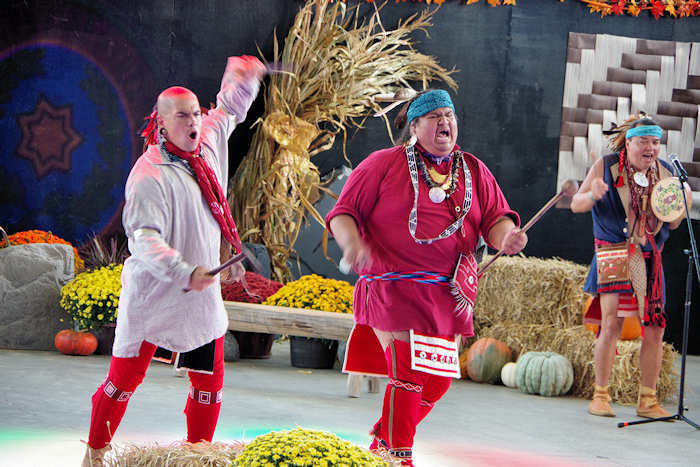 October: Go to the Cherokee Indian Fair. Admission is $20/adult, $12/children. 30-minute guided tours start every 15 minutes, except 11:30-12:30. No reservations needed. 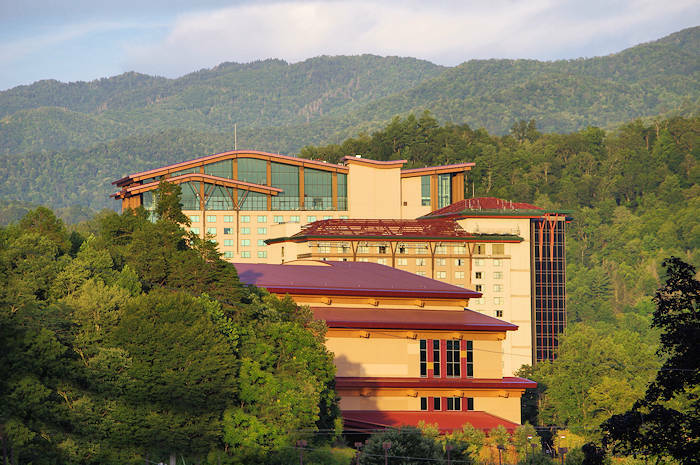 Save with a combo ticket that includes Unto These Hills and the Museum of the Cherokee. 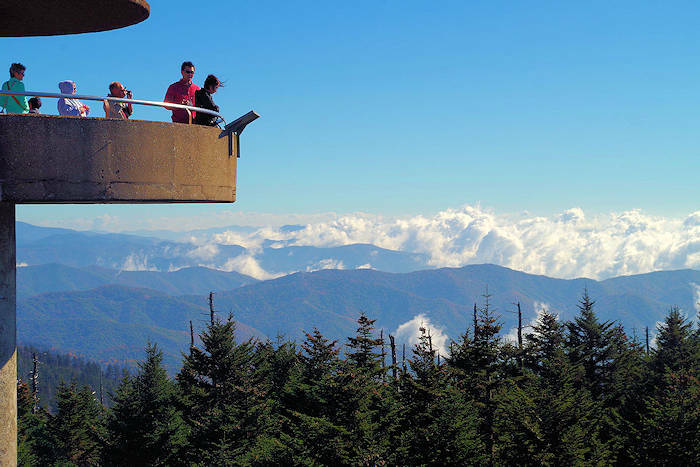 Cherokee is just 50 miles from Asheville via I-40 West to Exit 27, then U.S. 19 to U.S. 441 in Cherokee (one hour drive). Street address: 218 Drama Road, Cherokee. 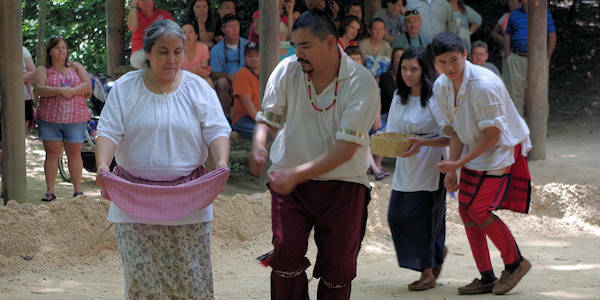 Join the Cherokee Friendship Dance!